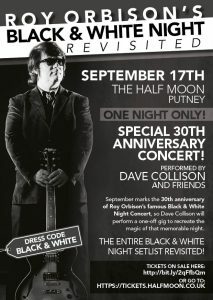 Join me for a special celebration of Roy Orbison’s Black & White Night! 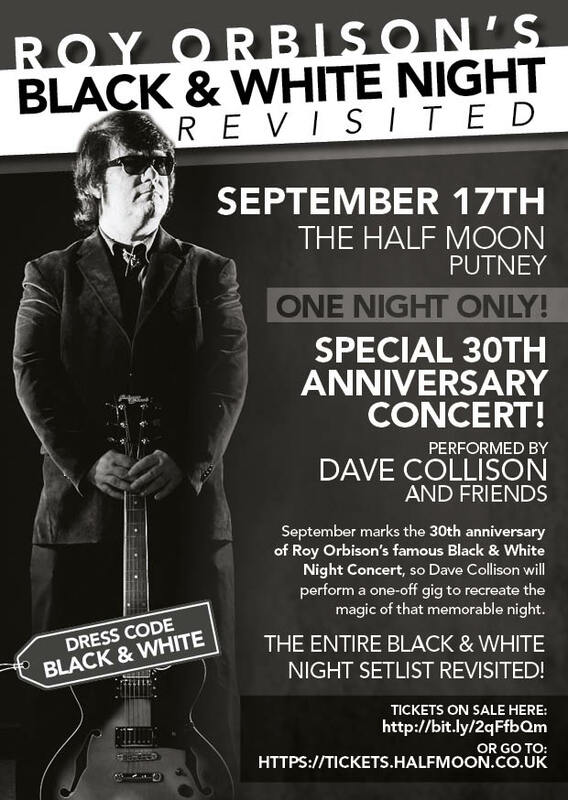 On Sunday 17th September, I’ll be recreating the magical atmosphere of Roy Orbison’s Black & White Night with a very special one-off concert in London at Putney’s famous Half Moon. September marks the 30th anniversary of the original Black & White Night Concert, where Roy performed a memorable set of his best-known songs with a host of other well-known celebrity friends, including Bruce Springsteen and Elvis Costello. I’ll be performing all of the songs from that memorable night in exactly the same order as the original setlist including Only The Lonely, Leah, In Dreams, Crying, Blue Angel, The Comedians, and many more of Roy’s best known hits. It’s long been a dream of mine to recreate the Black & White Night, so it’s a real privilege to announce this special one-off event and I hope you’ll come along and enjoy the gig. 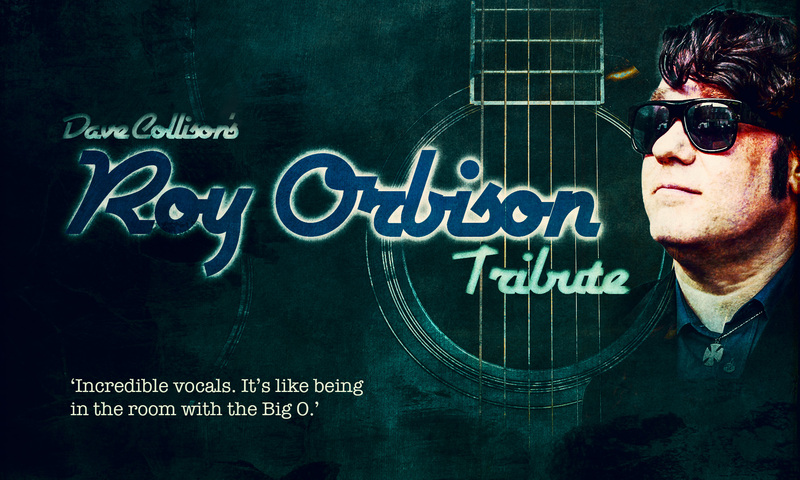 Dave Collison is a highly-authentic Roy Orbison Tribute Artist. 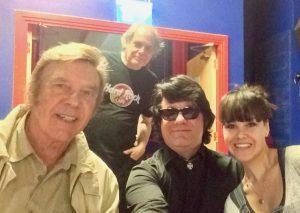 An experienced and talented musician, he has been performing Roy Orbison material for over 25 years, both as a solo artist and as part of a band, and can promise a faultless experience with a faithfully executed sound. 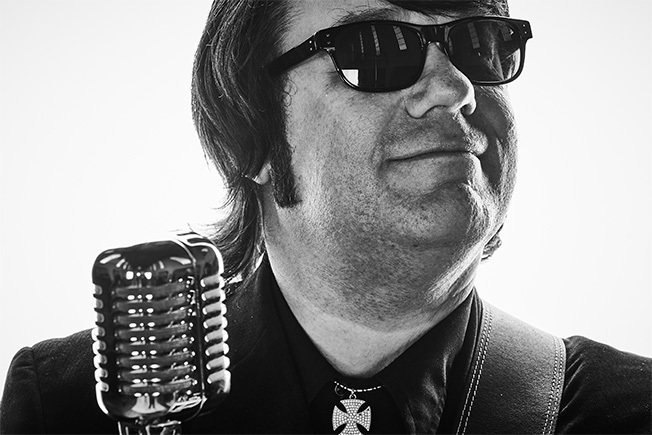 With an extensive vocal range alongside carefully considered, genuine Orbison styling, Dave's sets are accurately performed and his audiences often comment it’s ‘like being in the room with Roy Orbison’. Described as one of the closest look-and-sound-alikes of any tribute act with his ability to perfectly capture the unique vocal range and appearance of Orbison, he regularly performs with the Trembling Wilburys.